6) new basis for APC using membership numbers and annual revenue. And—discuss UCV’s process for picking delegates for the CUC AGM. Discussion facilitated by Keith Wilkinson, Chair, UU Connections Committee and former CUC Board member. 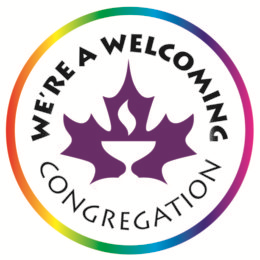 Vancouver Unitarians are entitled to 7 voting delegates at the Canadian Unitarian Council Annual General Meeting to be held online from UCV 9:30 AM – 1:00 PM Saturday 11 May 2019. The UCV board approves delegates from amongst members who express interest. Delegates are entrusted to study the proposed resolutions, consider the arguments presented, and then vote in whatever way they believe would be in the interests of UCV. 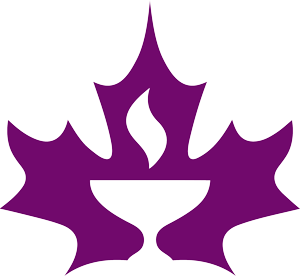 If you plan to be in Toronto on 11 May you can attend the AGM in person, whether a delegate or not, at the CUC’s office at the Centre for Social Innovation 192 Spadina Ave.
Leonie Armstrong, UCV Board President. Here is more information regarding the CUC AGM. New method of calculating the annual program contribution (APC) for the CUC. The proposed method would be based on membership numbers and annual church revenue. Four other motions including approval of strategic priorities for 2019-20. Feedback from UCV members will be submitted to the motion originators before 28 Feb 2019. Information about 2019 resolutions here. There will be an online Plenary Session the evening prior to the CUC AGM. Plenaries are informal ways to discuss forthcoming resolutions or other issues of interest to members across Canada. They’re typically quite fun and relaxed. The 2019 Plenary is scheduled for 4-6 pm Pacific Time, Friday 10 May 2019 via zoom in a UCV room TBA, and possibly online from any location. “After consultation and discussion with religious professionals, advisors, youth and parents, we have decided to change the age range of our national youth conference, CanUUdle, from 14-20 to 13-19. We feel that this is more in line with the age range of youth groups in our congregations and will allow more youth to participate. 2019 will be a pilot year, so we will evaluate the change after CanUUdle in May.